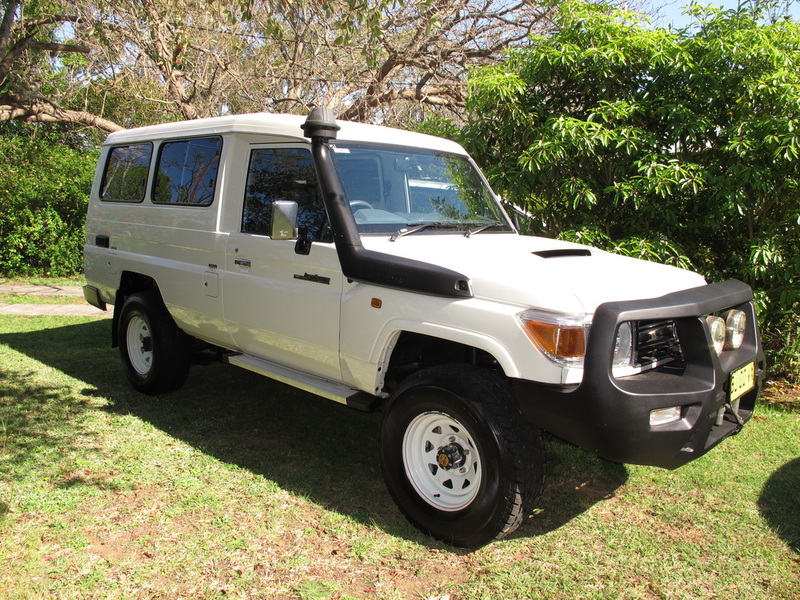 I have just purchased a 2011 VDJ78R Troopy, complete with 4.5L V8 intercooled turbo diesel, to replace my much-loved, long-serving, HZJ105R LandCruiser. Would you believe it had just 15010 km on it when I purchased it... that's just up to it's first main service! Other than a plastic bull bar (Smart Bar), winch (9500 Super Winch), driving lights (halogen Night Stalkers) and white steel rims, it's standard, but will have some amazing and different gear added to it shortly. Be sure to check back regularly to see what I do to it to transform it into my ultimate family touring vehicle, combined with being a test bed for magazine work for 4x4 Australia, Toyota Owner USA and On The Road magazines. The first job will be to sort out the seating to handle all six of us... 4 kids poses a tricky seating situation!